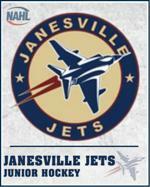 The Janesville Jets and the Wisconsin Elite Hockey League (WEHL) will partner again this fall to U16 and U18 Showcase teams in the NAHL Showcase in September and the Nike-Bauer World Invite in Chicago. Last years teams did very well and many of those U18 players were tendered or drafted by junior teams. Players that are on WEHL teams will be given preference to make the Jr. Jets rosters. Under terms of our agreement with WEHL and WAHA, no more than 3 non-WEHL players will be selected for either team. WEHL coaches are submitting recommendations for selections. So your best opportunity to make the Showcase roster is to participate in the WEHL program. High School players in the 2001 and 2002 birth year are eligible to tryout for the Jets U16 tournament team. High School players in the 1999 and 2000 birth year are eligible to tryout for the Jets U18 tournament team. Players must be Wisconsin residents, but can come from anyplace in the state. A list of of recommended players is given to the Jets Coaching Staff from the Regional WEHL Coaches and GMs to help the short tryout evaluation process. The Jets/WEHL partnership is designed to give more Wisconsin players an opportunity to be noticed by junior and college scouts at two premier AAA events. Tier I players are not eligible to tryout. These teams are for Wisconsin High School or WAHA Midget players only. The Showcase team fee is between $250-$300. That includes tournament fee and practices. It does not include travel or related expenses.